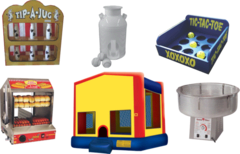 One Click Party Package! Can it realy be that easy? 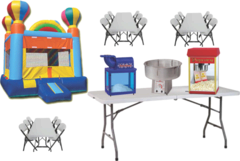 Just click any of our party packages for the easiest party or event you will ever plan. You too can amaze your friends and family with how cool, calm and stress free you appear when having to plan a huge event. 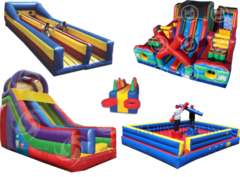 We deliver everything to your door and set up the bounce houses, water slides, and carnival games for the best party you will ever have. Yes it is that easy to plan a party in Sacramento, Roseville and Lincoln Too! 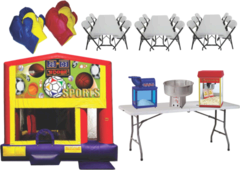 Bouncey House Rentals is truly the one stop one click shop for Amazing Party Packages.